It is the height of the Gurlish Wars. Sergeant Tamas, a young infantryman in the Adran Army, struggles to keep his squad alive despite the blundering incompetence of their superior officers. Not only does Tamas have the curse of being an ambitious commoner in an army where rank is purchased rather than earned, he is also a powder mage. His magical ability to manipulate gunpowder is frowned upon by officers and feared by Privileged sorcerers. When the Adran Army is about to give up on the siege of an enemy fortress, Tamas seizes upon the opportunity to prove his worth as a strategist and mage. But breaking the enemy on his own won’t be easy, no matter how strong he is. 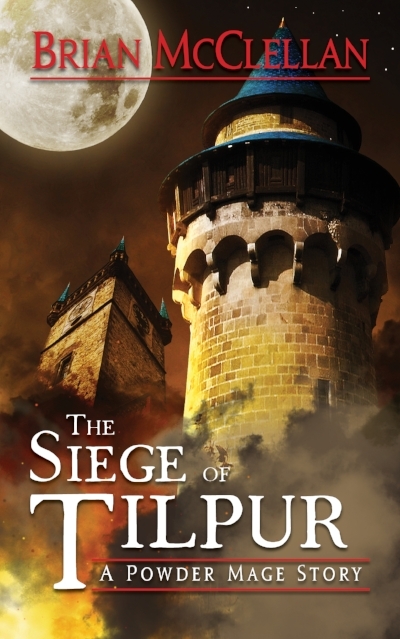 A note on pricing: some of you will notice that Siege is only about half the length of my normal novellas, but still priced at the same $2.99. I waffled on this a lot, but the fact is that any self-pubbed books sold on Amazon for less than $2.99 make only a 35% royalty, rather than a 70%. Pricing Siege at $.99 (for instance) would have meant it made 1/6th the amount of money, rather than 1/3rd. After paying for cover art and ebook conversion, it just wouldn't have been worth it. Hope you guys understand!